Yes, I am responsible for the cover design, but the real genius is on the inside. 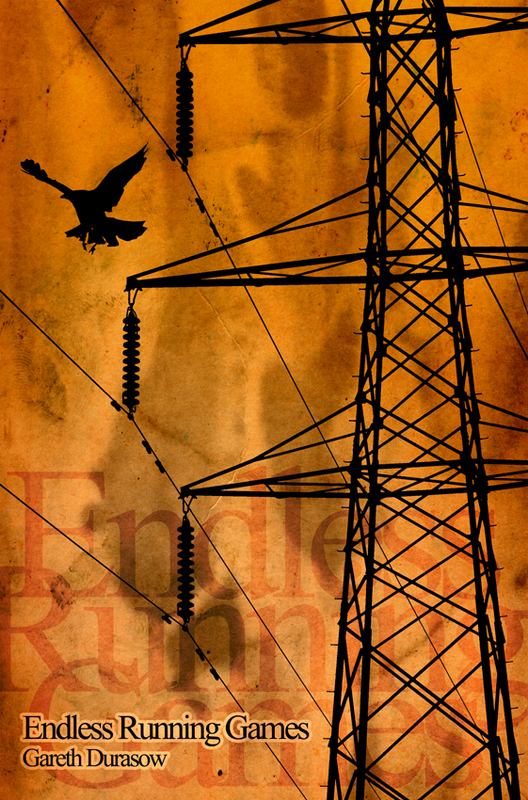 ‘Endless Running Games’ is a collection of poems by Gareth Durasow. Gareth isn’t at all reluctant about eloquently sketching out the grit and feculence of the human condition. He does it with an almost tongue in cheek poignancy. His observations of light juxtaposed by dark are formed anew as if one had never known the two before. In essence: refined, brilliant, witty and challenging word journeys. My personal favourites are PRAYERS FOR CAPTAIN AHAB and FOR THE LAST FLAT CAPPER.